Hey there! I’m Trang and I’m happy to be a regular contributor here on All She Cooks starting this month. You can find me blogging over at Wild Wild Whisk in my spare time. 😊 My specialty is baked goods, but I’m hoping to use this platform to share things beyond butter, flour and sugar. For the past couple weeks, June gloom has been in full force where I am: grey sky, occasional drizzle with only a few rare moments of sunshine. Even though all the bright berries are now in season, I needed an uplifting and invigorating citrus kind of pick me up. 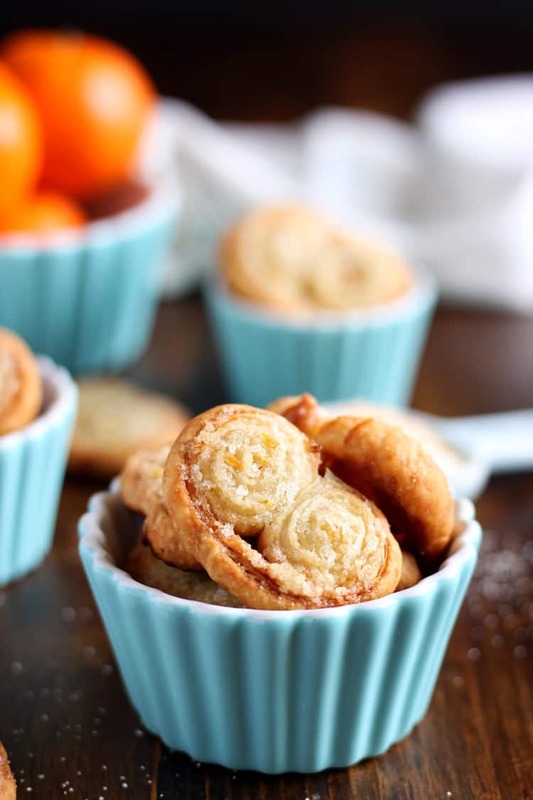 Enter these Petite Clementine Palmiers. This clementine palmiers recipe utilizes store bought puff pastry dough, which makes it extremely effortless. It is an absolute no fuss recipe that you can whip up in less than half an hour, whenever you need a little cure for the blues. The best part about this is you are not limited to just clementine. You can easily customize the citrus sugar using orange zest, lemon zest, grape fruit zest, or anything you have on hand at the time. 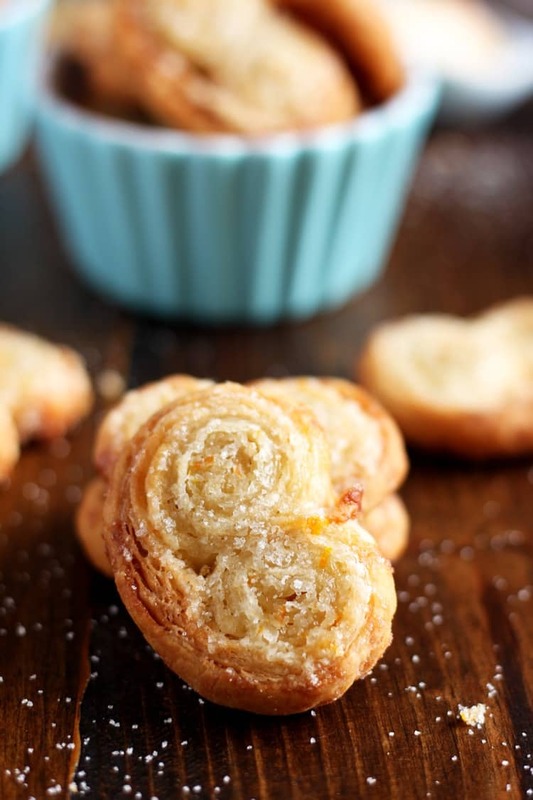 If you’re not feeling like citrus for any reason, omit the zest to make simple sugar palmiers. 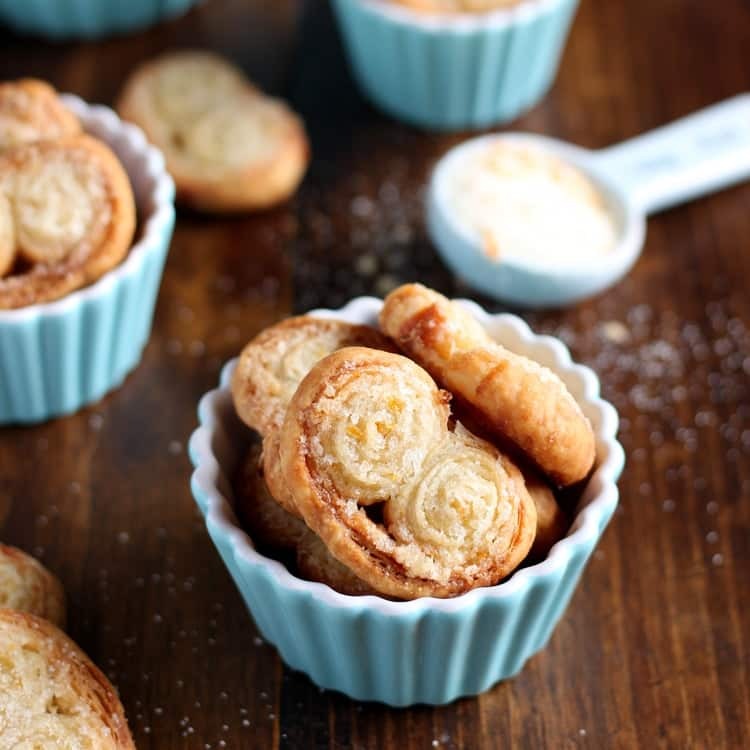 Or you can substitute the zest out for a quarter teaspoon of cinnamon and you’ll have yourself some cinnamon palmiers. Again, this recipe is so simple and adaptable, you can easily customize it to your heart’s desire. 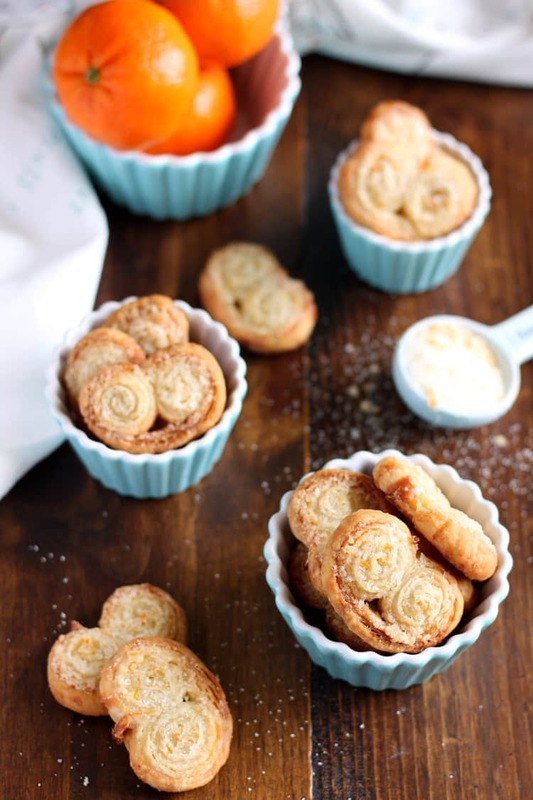 You can easily whip up this no fuss clementine palmiers recipe in less than half an hour, and even customize the flavor to your heart's desire. In a small bowl, whisk together sugar and clementine zest until sugar turns yellow and fragrant. On a lightly flour board or counter, spread out the sheet of puff pastry dough and roll to 12”x12” Spread the clementine sugar over dough evenly. Roll the dough like you are rolling a cinnamon roll from one end to the middle, then roll the other end to the middle. Brush a little bit of water on the dough where the two logs meet to seal them together. Place in the freezer for 15 minutes, this will make slicing a lot easier. Meanwhile, preheat oven to 400°F. Cut frozen dough into 1/2" slices and place on a parchment lined baking sheet. Bake for 15 minutes until palmiers are golden brown. Allow to cool on a wire rack before serving. Store in an airtight container and consume within 2 days. « Berry Salad Recipe with Raspberry Vinaigrette – Must Try Summer Salad!